Save your family’s precious moments to share for years to come. Convert your old photos, film, and tapes to digital format today! 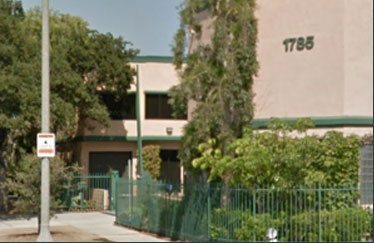 Why Los Angeles Video Transfer Service? We process every photo, slide, inch of film, tape, and reel by hand and in-house. We handle each project with the utmost care and always keep you updated while digitizing your precious memories. We use sophisticated, professional-grade, high quality equipment, and we can process many formats that other companies simply aren’t capable of converting. We are committed to turning your stored media into beautiful digital memories you’ll be able to enjoy and share for many years to come. Use our convenient online tool to tell us what format(s) you have, how many items you’d like digitized, and get a free instant estimate! Submit your request to begin the order process. After you submit your request, one of our technicians will contact you to discuss the details of your order and give you a final estimate. Once approved, mail or bring your items in to begin the digital transfer. When conversion is complete, we’ll notify you by phone and email. All of your precious originals will be returned to you in the same condition they were received*. 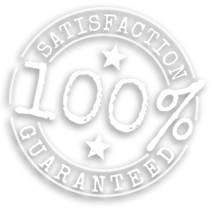 Our work is 100% Satisfaction Guaranteed! * Some items may need repair work in order to be transferred. We will contact you for approval before performing any repairs that may change the condition of your items. I appreciate the painless process! I’ve taken my old VHS tapes to other places for transfer and this one was the quickest by far, and there weren’t any set up fees. The process was so simple, I dropped off my old Hi8 tapes, and a couple of days later I was sharing old videos with family on Youtube! You guys are the best with 8mm transfers. I’ll never go anywhere else. These guys did a great job digitizing an audio cassette to a WAV file for me. Highly recommended. Easy to work with and nice guys overall. I was highly satisfied with the quality of my DVD transfers. This was by far the easiest way to preserve the memories on my DVCam tapes that were doing nothing but gathering dust on my living room shelf. The home videos I had transferred to DVD made perfect gifts for family, I would recommend LA Video Transfer to everyone I know! We've been hard at work creating a brand new site, including an estimate creator and lots of information about the formats we support. 8mm and 16mm film transfers have come a long way since the 80s and 90s. If you wanted to transfer your precious films to preserve the memories, you had only a few choices. DVDs were the common standard for entering a film festival. But just like VHS, Film Festivals have moved on from DVD and have now started asking for Blu-ray discs. The recent forest fire devastation has given plenty of families cause to properly take care of their memories. The safest way to preserve memories and important documents is to digitize them. We have over a decade of experience handling your irreplaceable memories. Our passion is the preservation of analog media, and we want to help you digitize your most precious, irreplaceable memories. Every day, our customers trust us to organize and preserve their home movies, audio recordings, and photos. Our dedicated and committed staff personally handles your order as if it were our own family’s treasures. That’s why we guarantee our work 100% to ensure your utmost satisfaction. Free parking is available in the parking lot. Enter through the green gate on Locust Street, and park in any open, unmarked space.